AFC Rushden & Diamonds have been granted special dispensation by the Football Association to continue without the number one shirt in tribute to former goalkeeper Dale Roberts. 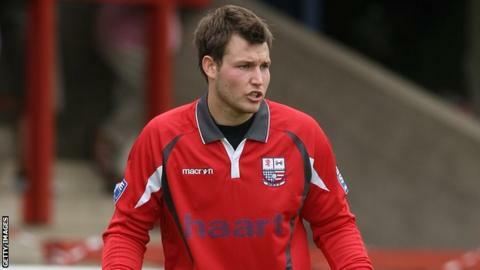 Roberts took his own life in December 2010 while a player for Rushden & Diamonds FC, dissolved in 2011. Rushden's phoenix club were promoted last season and their new league said they had to have a number one. The FA have now allowed their keeper to wear the number 17 shirt instead. Roberts' number has not been worn since his death, but after the Southern Football League Division One Central rejected the club's request for special dispensation, an FA appeal was lodged. An online petition was set up in protest, and goalkeeper Matt Finlay wore the number 17 shirt for the club's league opener against Petersfield Town. They will now be able to wear the shirt for the 2015-16 season.